Where's the Best Place to Get Fleet Insurance in Ireland? Fleet insurance can be a very valuable purchase and can save you and your business a lot of money every month. 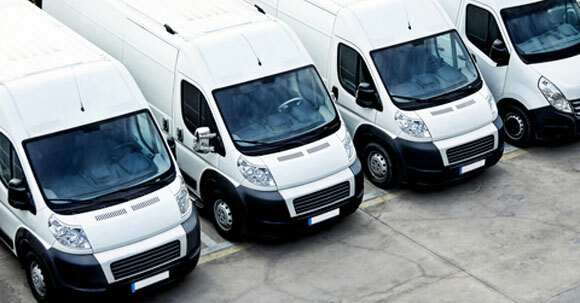 There are many reasons why a business would need to purchase fleet insurance. It could be to save money, because you want the same type of insurance for all of your company’s vehicles, or simply because you because you feel that it improves your business. Whether you have just a few cars in your fleet or several hundred, fleet insurance can be an ideal purchase. Therefore, it is best to check out all the facts about fleet insurance to see if it is a good fit for your company. While traditional motor insurance is usually for only one car or for a family who owns more than one car, fleet insurance is usually purchased for businesses that own several cars. Most insurance companies require that a business has a minimum of 5 to 10 vehicles in their fleet. This is because fleet insurance rates are always based on multiple quantities rather than just one vehicle. In addition, there is always a minimum quantity of vehicles required for ownership before it is considered to be a fleet. Insurance companies will also give additional discounts if you have larger quantities of vehicles. For example, if your business has more than 100 vehicles then you may get an even larger discount. This factor will often give business owners an incentive to purchase more vehicles for their fleet. Some insurance companies may base their premium rates on the age of the vehicles in the fleet. For example, brand new vehicles are generally more expensive to insure. However, depending on how much wear and tear is done on a company’s fleet, they may decide to replace the vehicles every few years. Therefore, they may not be able to take advantage of the age discount. As with other types of car insurance or van insurance, mileage can be a big factor. If a car has high miles there is sometimes a discount given on the insurance just like there would be if the car was an older model. So, if you are not particular about constantly having new vehicles in your fleet, then having older cars that have plenty of miles on them may be your best bet when purchasing fleet insurance in Ireland. While making the decision to purchase fleet insurance in Ireland may seem like a big task, it does not have really have to be. Knowing all of the factors that are involved before you make your purchase will end up saving you both time and money in the future. In addition, having a broker that you can trust help to make your transaction go even smoother. Some of the top companies for fleet insurance in Ireland would be Liberty Insurance or FBD.ie. Check out a few different insurance companies and ensure you get the best deal possible.